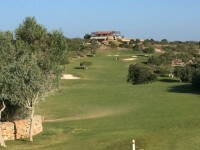 Please select a date of play to check availability on Espiche Golf. 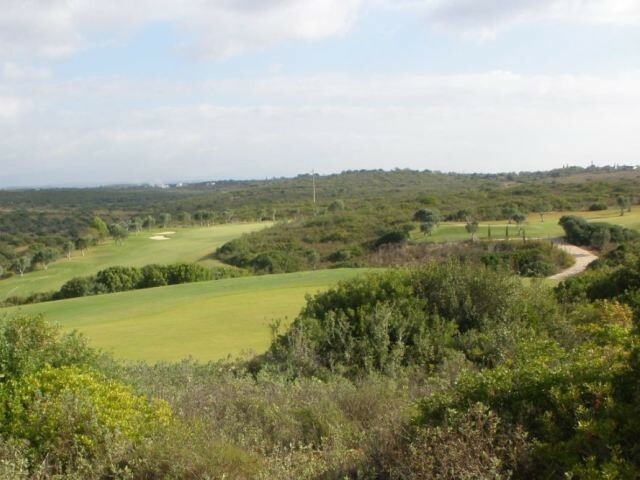 Espiche Golf Course is the latest course addition in the Algarve, The Espiche Golf Course, gently provides an undulating 18 hole course that blends into the local landscape. It's lakes, streams, and indigenous planting, add to the enrichment and biodiversity of the area. The various attractive aspects that the Espiche Course offers the golfer are a clever blend of open countryside with vineyards and views to the Monchique Mountains. The close proximity to Praia da Luz and the City of Lagos offers an excellent and convenient location. Landschaftlich abwechslungsreich und wunderschön. Das Clubhaus ist für mich das beste was ich bisher erleben durfte. Wunderbare Materialien , absolut einfallsreiches Gebäude, nicht angberisch einfach nur absolut gut. In dieser Umgebung macht das Arbeiten dann wohl auch mehr Freude. Ich durfte nur freundliche Mitarbeiter erleben: Anmeldung, Restaurant und Starter. ( Hier sollten einige Clubs mal eine Fortbildung buchen) Die Fairs und die Grüns sind gut. Bälle die zu sehr links oder rechts platziert werden sind bei einigen Löchern unwiederbringlich weg. Nachdem ich den Platz ein zweites Mal gespielt habe fand ich keine Bahn mehr unfair sondern nur noch reizvoll. Exceptional service and hospitality provided by all at Espiche. The restaurant and club house are alone something worth the visit. The course however is extremely tough. Especially for s higher handicapper like me. Fairways are narrow and anything offline is punished in the extreme as there is next to no rough to hold up the ball but instead it simply becomes lost in scrubland and bushes. It becomes even tougher when the wind picks up like it did for me late afternoon. Greens were in great condition. It's definitely a course to revisit in 10 or so years once it's been worked on and some features improved! 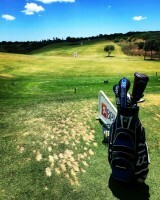 Great course I will most definitely return on my next visit to Portugal. The greens are amazing best I have ever seen. Tough on some holes if you don't hit the fairway as lots of bushes you can't play out of but if you can hit a straight iron that is the best way. 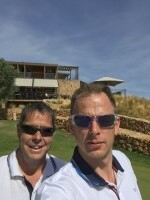 Great price great people great course you won't be disappointed this is a must play if you go to Portugal to play golf.. thanks Espiche golf see you again soon. Uns ( HCP -4/-15) hat der Platz sehr gut gefallen, er ist hügelig aber gut zu Laufen. Bälle kann man schon verlieren da die Bahnen oft nach rechts oder links hängen. Die Jungs an der Rezeption und der Marshall waren super nett und hilfsbereit. Das Clubhaus ist schon beeindruckend und man hat einen herrlichen Blick über den Platz. Good course, well kept, great clubhouse, I enjoyed my round here. The thing that lets it down though is the type of grass they've used on the greens. I think it's too coarse which leads to the ball bobbling rather than rolling smoothly. I've attached a photo so you can see what I mean. 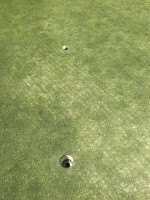 To post a review, score or a notice on Espiche Golf page's or to connect with other Espiche Golf golfers, please log in to your account or sign up using Google or Facebook.